Congratulations to The Home Depot for winning the Constructech Gold Vision Award for its innovative use of Projectmates construction management software. Congratulations to Milton Hershey School for winning the Constructech Bronze Vision Award for its innovative use of Projectmates construction management software. MSU's Division of University Facilities will leverage Projectmates for new construction, renovations, and other capital improvements. Systemates donates school supplies during recent "Fill-A-Backpack School Supply Drive" supporting Dallas-area kids. The Facilities Department at Burlington School District, VT, has selected Projectmates Construction Management Software. Expertise and innovation in software for construction management distinguish Projectmates among top technology providers. Projectmates 11.5 for Construction Project Management is chock-full of smart features and powerful tools for Owners. A new user interface overhaul with intuitive navigation, executive project summary dashboards, smart folders, streamlined cash flow forecasting, and a business process engine are just some of the impressive enhancements you'll experience in version 11.5. Systemates, Inc. announced that fast casual restaurant chain MOOYAH, home of the Better Burger and no dud spud, will leverage Projectmates construction management software for its rapidly growing franchise chain. MOOYAH is among the top movers and shakers in the restaurant industry with over a dozen restaurants under construction currently and 50 to 60 new restaurants expected to open later this year across the U.S.
Systemates, Inc. today announced that Constructech Magazine named Projectmates as a 2012 Commercial Top Products winner. Projectmates was named in the Trusted Products category; the construction project management software was designed for owners and has a large client base in retail, healthcare, government and educational agencies. 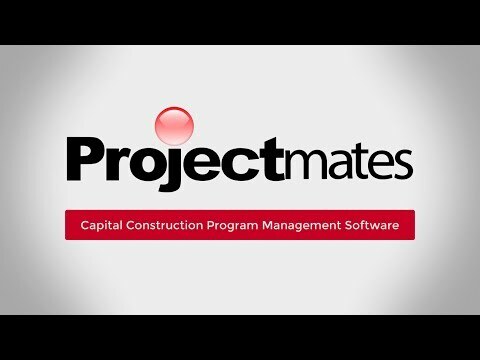 Systemates, Inc. today announced that RaceTrac, a leader in retail gasoline convenience stores, will leverage Projectmates construction management software for its rapid expansion campaign. RaceTrac is just one of the newest retail clients to adopt Projectmates as its construction project management software for managing the complete lifecycle of its new store construction and capital improvement projects. Systemates announced that Speed Art Museum, the largest art museum in Kentucky, will leverage Projectmates construction project management software for its $50 million expansion that includes construction of the new North Building and the adjacent Art Park and Piazza.